My name is Lisa, known online as shainer. I joined the Chakra team in 2011 as a developer. I interrupted my contribution in the team at the end of 2013, and joined again at the beginning of 2016. During this time I have worked mostly on Akabei and some internal tools. I am currently contributing to Calamares, the generic installer which replaced Tribe for Chakra. I am also an occasional packager. 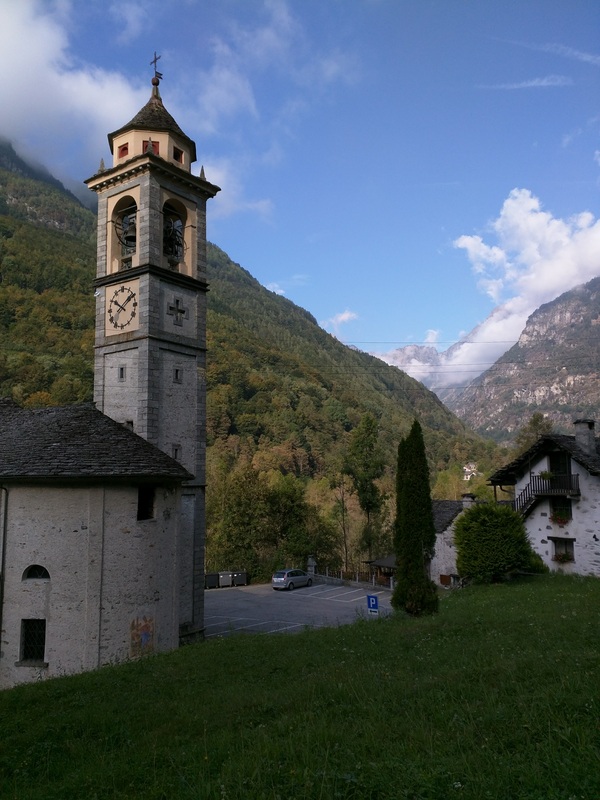 In September 2016, 5 contributors of Chakra Linux, including me, met for the first time in Valle Verzasca, in Canton Ticino, the Italian-speaking part of Switzerland. We named this first meeting the Chakra Shindig. During the course of one week we got to know each other better, work on Chakra, and discuss many important points raised by either us or our users. Here is a summary from my point of view. September 19th: this is the day we all travel to Valle Verzasca! As I was already in Italy the week before, mine is a long train trip from Rome to Bellinzona. I have never been to such open-source meetups, and beside being glad of meeting the other contributors face-to-face, I am not sure what to expect. I meet the rest of the group at the train station and we drive to our destination. It is dark once we arrive, and I have not seen such an amazing starry sky in many years. As it’s late and we are all tired we spend some time together in the cottage we booked as a Chakra base, and then go to sleep. This was for me the best part of the meeting. The practical work is obviously easier in such a collaborative environment, when asking for help or advice is quick, but the brainstorming and discussions we had would have been very hard to organize over IRC. Bringing the contributors around a table means several long-standing points were “closed” in a few hours of work. Gitlab. Having a centralized “project management” platform is a big step forward; user support, bug tracking, code, etc… will be all collected in a single place, and with a single sign-in. Improvements to the main pages of the Chakra website: the purpose is to give more visibility to all contributions, and to showcase our current efforts to curious people. We discussed the pros and cons of becoming an official KDE project. The path is long and there is no final decision yet, but I am excited to see how that will go. We “scanned” many years-old bugs and decided their fate. We had a key signing party to improve the trust of the keys we sign the packages with. I feel like I have acquired many nerd points now :-D The public keys are available at pgp.mit.edu. Picture: what signing my key was NOT (hopefully). But of course, the practical work is important too! I have not felt so productive in Chakra in years. I finally closed pieces of work I started months ago. Luca and I designed an improved Users page for Calamares. It is going to add support, among other things, for managing multiple users and setting user avatars. The idea has been approved by Teo and is being worked on in the users branch on Github. We fixed two issues in Akabei, and started debugging two more problems we discovered. Luca continued to work on the new ISO. I am pretty excited to see it come to light, both because it’s overdue, and because we will be able to offer the minimal ISO we have promised. As usual, contributions to all these efforts are welcome! Not much to say: we got t-shirts to celebrate the event and they are super-cool! To add to the general coolness we also 3d printed several objects shaped like the Chakra logo. I got two penchants that I need to make into earrings: stay tuned for the pictures when I get that done! I cannot thank Luca enough for deciding to organize this meeting at his place. The scenery was amazing all around. In the morning, I would walk from my B&B to the cottage and see the mountains towering all around me; at the right time, the sunrays strike the tops of the mountains, and create an impressive effect. Time for leaving! Everybody is sad to go! This was incredibly useful. Taking a week off our studies or jobs to work on Chakra is obviously helpful to progress forward; this includes coding or packaging all together, and especially the time spent deciding what we should focus on next. I returned home with a huge TODO list and the determination to do even more. We agreed that having a meeting approximately once per year will be a good way to keep this cooperative spirit going inside the team. We hope next time even more contributors will be able to join! Random stuff I find interesting or I am working on.